Welcome to L.A., Georgetown Cupcake! Yes, I’m a sucker for cupcakes. They’re lit-tle cakes! It almost doesn’t make sense not to be. 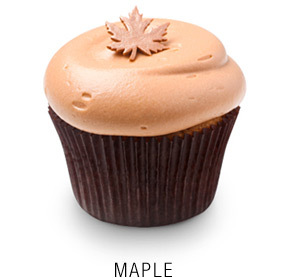 While I think many shops in big cities are way overrated (cough Magnolia cough cough), I’m a fan of Georgetown Cupcake. Yay for Maple! And now the D.C. cupcakes are coming to grace our sweet Robertson Blvd. The grand opening is tomorrow! Stop buy, get a FREE cupcake, and let me know what you think.